Minor or lesser periwinkle is considered one of the best evergreen ground covers. It grows well in various types of places from sun to shade. Also, it is well-adjusted to colder temperatures and tolerates the extreme colds of Northern Europe. This perennial has dark, green leaves and a beautiful violet-blue flower. It won the Award of Garden Merit from the Royal Horticultural Society. It is excellent for groundcover as it provides protection for bulbs, embankments and other sloped garden areas. It is extremely low-maintenance, to such a degree that it will flourish if left unchecked. The plant uses nodes to spread out and secure its holdings as it makes its way across fertile soil. And as such, it makes an excellent ground-covering perennial under and around trees for complimentary plant growth in rustic gardens or cottage settings. In addition to its hardy growth and survival, the Vinca minor is also avoided by larger pests like rabbits and deer. 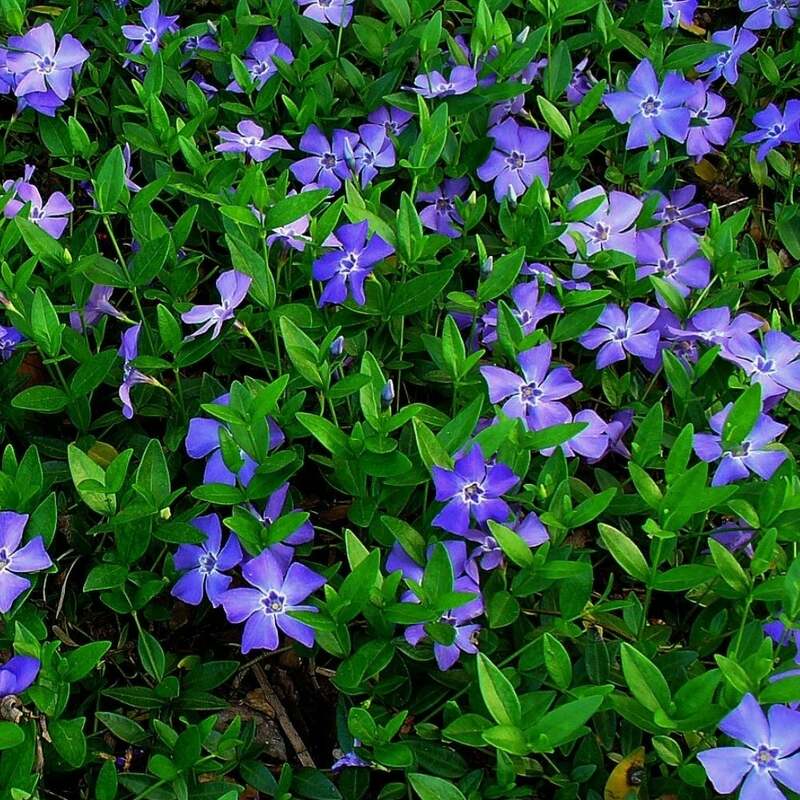 As well, blue periwinkle does not have any significant issues with other pests or diseases. This ground-covering plant will continue to flower throughout the growing season, providing you and your garden with continuous splashes of colour in the spring, summer and fall.